Underwater Adventure! Professor Aronnax sets off in search of a giant sea monster, only to find the monster is really a steel-plated submarine. 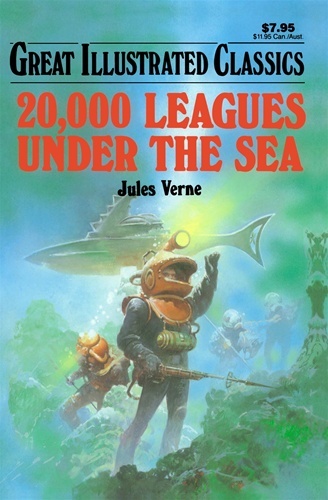 Captured by the mysterious Captain Nemo, Aronnax witnesses the exploration of the Nautilus, the remarkable submarine Nemo has invented. But Aronnax comes to learn that Nemo is near insanity and must escape. It's an incredible journey into a mysterious world of excitement and danger!